This month saw the publication of Sir Michael Barber’s Public Value Review, accompanied by a roundtable event involving presentations by Sir Michael and the Chief Secretary to the Treasury, Elizabeth Truss. Building on existing initiatives, the review’s findings offer a valuable opportunity to examine how public services are delivered. This is profoundly important work, and I welcome the collaborative way in which Sir Michael and his team have engaged with departments across Whitehall. I firmly believe that we should seize this opportunity to bring about a lasting change in the interaction between spending departments and the centre, with a shared commitment to delivering public value. In its assessment of the current landscape, the report offers a thorough and wide-ranging survey of public sector productivity. It recognises existing work in this area, including the introduction of Single Departmental Plans and Costing projects to explore particular areas of spend. These have made impressive progress and I am delighted to see Sir Michael’s report bringing this work together and ensuring that the centre of government is fully joined up. The report also highlights the perennial challenges faced by governments in improving public sector productivity. As it points out, leading economists and policy-makers have long grappled with the problem of measuring how public money is turned into results for citizens, along with the issue of ambiguous incentives in the public sector. It asserts that the relationship between the Treasury and spending departments has been characterised by a focus on inputs, rather than the process through which successful outcomes are delivered. To meet future challenges, it’s clear that we’re going to need to change the dialogue across government, both to improve this process and to be more open and collaborative. The report rightly recognises the role of the Treasury in bringing about this change. 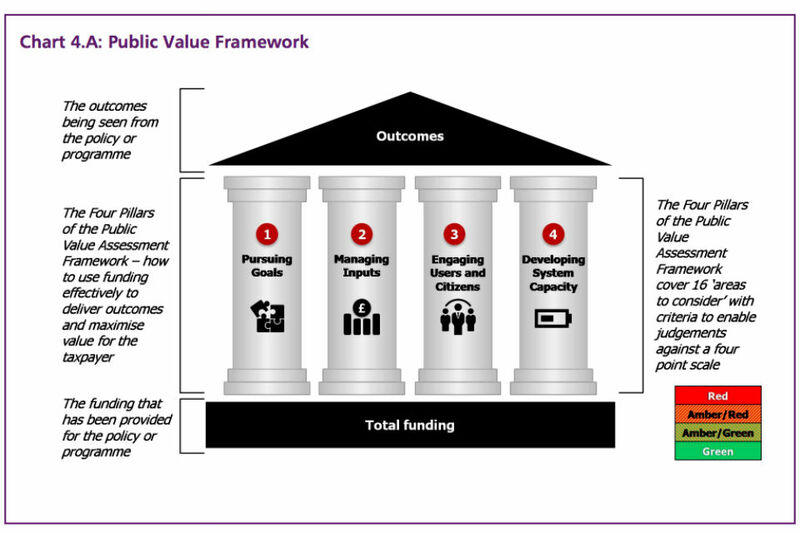 Faced with these challenges, the report recommends introducing a rigorous framework – the Public Value Framework – to inform spending decisions and improve the process through which inputs are turned into outcomes that maximise public value and improve people’s lives. With its emphasis on sound planning, citizen engagement and the long-term health of the service, this framework represents a crucial step towards changing cultures and behaviours within government. The report also highlights a personal priority of mine – improving the quality and use of data across government. In an era of big data, it is essential that we harness the opportunities this presents to deliver the best service we can to the government and the wider public. 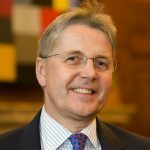 Sir Michael’s work raises the profile of existing data initiatives and uses the framework as a tool to demand more of departments and the centre in their approach. While I welcome Sir Michael’s valuable recommendations, it is important to note that many efficiency initiatives have proved to be short-lived. This one needs to be different. The Treasury’s implementation plan to launch a series of pilot assessments across certain departments is very sensible, but this method needs to become second nature. I am determined to ensure that it does. I would like to thank Sir Michael and his team for such a significant contribution to improving the quality and impact of public service provision in the UK.